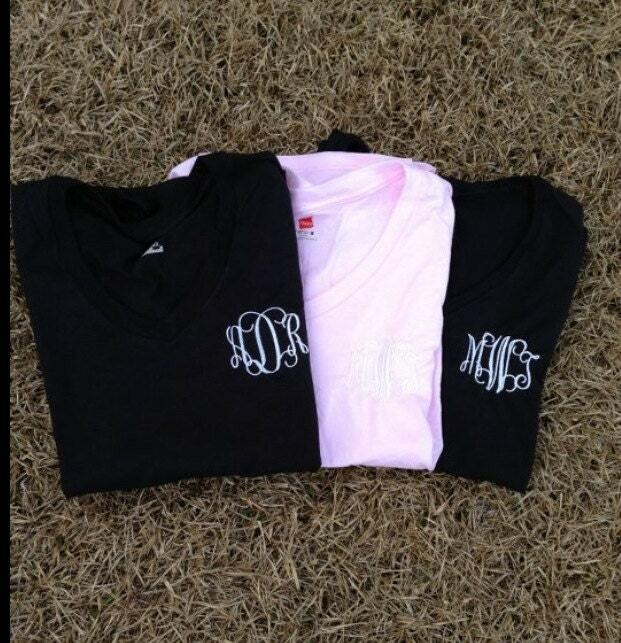 These shirts are v-neck tees with your monogrammed added in the color of your choice. We can get a variety of colors. Please ask if you have special request.